Shop Barbasol Thick & Rich Shaving Cream for Men Original (10 oz. )10 oz. 2 for 3 dollars and 00 cents or 1 for 1 dollars and 79 cents $1.99 $0.18 / oz. 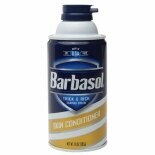 Shop Barbasol Thick & Rich Shaving Cream Skin Conditioner (10 oz. )10 oz. $219$2 and 19 cents$0.22 / oz. 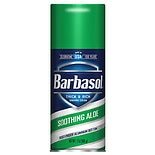 Shop Barbasol Thick & Rich Soothing Aloe Shaving Cream (7 oz. )7 oz. 2 for 3 dollars and 00 cents or 1 for 1 dollars and 79 cents $2.19 $0.26 / oz. 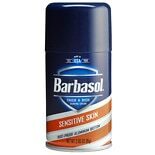 Shop Barbasol Non-Aerosol Moisturizing Shave Cream for Men Sensitive Skin (5 oz. )5 oz. $379$3 and 79 cents$0.76 / oz. 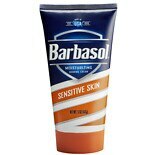 Shop Barbasol Thick & Rich Sensitive Skin Shaving Cream (7 oz. )7 oz. 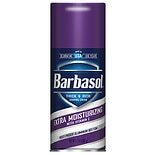 Shop Barbasol Thick & Rich Extra Moisturizing Shaving Cream (7 oz. )7 oz. Shop Barbasol Thick & Rich Original Shaving Cream (7 oz. )7 oz.